About the owl Bath artist Natasha Rampley says that as most of her artistic inspiration comes late at night, she envisaged creating a Night Owl, cloaked in shimmering bright mosaic in golds against the dark midnight blue of a clear summer's night, with little touches of steampunk with jewels and quirky details.  As owls are generally awake at night she included clock cogs and time details, similar to the internal clockwork of Bubo, the metal owl from Jason and the Argonauts. 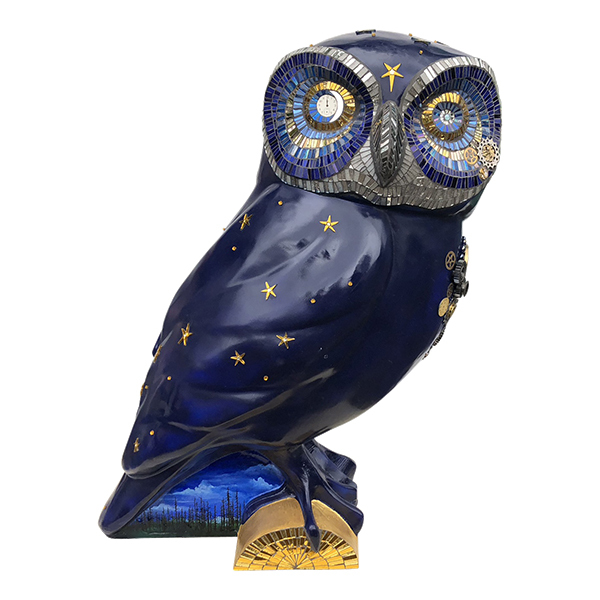 Natasha creates all her gold and silver backed mosaic pieces by hand from sheet glass, which helps the eyes and stars to glint and glitter as you move around the owl's undulating surfaces. About the sponsor The Norie Trust has general charitable purposes and also supported the Lions of Bath in 2010. About the artist Natasha is an experienced glass and mosaic artist who creates architectural and residential commissions across the south west. She specialises in traditional glass painting and particularly loves the details and jewel like qualities of the art nouveau and arts and crafts styles. Fused and sandblasted glass can also be incorporated into her window designs and modern or smaller works are also undertaken. Where? Milsom Place, 41 Milsom St, Bath, BA1 1DN. Outside Cote Brasserie. Viewing 0600-midnight. Milsom Place is home to restaurants, bars and boutique shops - a great destination for owl spotting!